After the recent cold snap, you may already be thinking about reducing your energy costs before next winter kicks in and if you are – and your house was built before 2006 – there has never been a better time to plan on making your home more energy efficient. 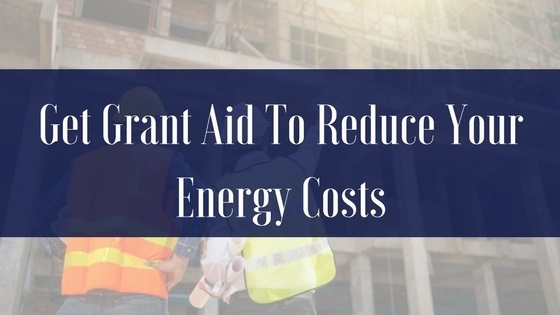 In October 2017, the SEAI announced plans to significantly increase the cash grants available for home energy efficiency. They also announced the introduction of ‘Heatpump’ grants which will become available for the first time from 16th April 2018. Furthermore, if you are a PAYE worker or self-assessed taxpayer, you can also claim further relief through the Home Renovation Incentive (HRI) scheme. The amount of grant you get depends on what improvement works you make. If you undertake more than three energy efficiency measures, you can get a bonus payment of €300. The table below outlines the grants that are available. Grants for Heat Pump Systems and Solar Thermal are available to all owners of homes built and occupied before 2011. The home occupancy date is determined by the date in which the electricity supply was connected. I want to claim the grant for my rental property – can I do this? In short – yes, as long as your rental property meets the qualifying conditions above, you can apply for the SEAI grant for improvement works. You may also benefit from further relief through the Home Renovation Incentive (HRI) scheme which also applies to relevant properties. It is critical that you keep all receipts and invoices relating to this work as well as details of the grant you have received from SEAI for completion of the work. The SEAI grants are retrospective payments – this simply means that you pay out for the work and then claim the money back. Get advice from a good building contractor, architect, BER Assessor or energy advisor who should be able to advise on the measures best suited to your home. Apply online You need the MPRN number from your electricity bill and the name of your contractor from the SEAI register. If your home qualifies, you can be approved immediately. You can also apply by post. Accept the grant offer – If you applied online you should receive your grant offer immediately. If you applied by post you should receive your grant offer within 5 working days. You then have 30 days to accept the offer. If you have not accepted the offer within 30 days and still wish to proceed with the grant, you will have to re-apply. Get the work done -You have six months from the date of the grant offer to complete the works on your home and return the paperwork. This includes completion of the work, payment in full to the SEAI registered contractor and completion of your BER assessment. Get paid – You will receive a Declaration of Works form from SEAI for each measure completed. These must be completed by you, your registered Contractor and your BER assessor when the works and BER are completed. Payment should be received into your chosen bank account approximately 4 weeks after these completed forms have been submitted to SEAI. The process is relatively simple and is a win-win situation – reducing the cost of the work which in turn will reduce your energy costs. Is your existing agent giving you information on potential schemes you can avail of? If not, are you missing out on other very relevant information? At MLMG our purpose is to keep our clients up to date and informed. Contact us here or call MLMG on 07493 21420 for a consultation.